Had some really good days at Hookipa this week, with 3 days in a row of solid waves and good wind. Had some good waves, but unfortunately all my shots seem to be crash shots! 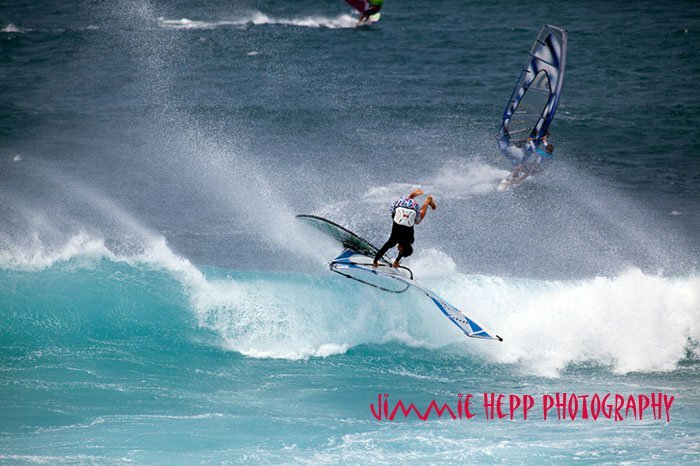 Check out the best of Jimmie Hepp's crash shots! Today looks weird and rainy, but hopefully the wind kicks back in and we get a final golden week before we head home.